Today the money lender has become the master of all trades; giant banks control everything under the sun. Do they work in the interests of the people? The answer is a resounding No. Basically, money is a means of exchange. For instance, if you have got something that I require I may spend money in order to get it from you. I could also offer you something other than money that may be of interest to you. Exchange of something other than money, such as goods and services, is called barter trade. I paint your house, you do my accounts. A macro-economic example: Bangladesh exchanges jute and hide exports for food imports. It may be noted that barter trade excels under certain conditions. On one hand, barter between countries works best at present between industrially underdeveloped – financially poor – countries with a large surplus of raw materials. As they have no means to invest in refining industries under the present global exploitative regime, they should exchange raw materials in order to procure minimum necessities. On the other hand, the exchange of services between private persons would work very well where no government tax is levied on private income. The abolition of income tax will to a great extent remove the problem of black money and bring about a welcome moral change in the population. Money is not meant for piling up purchasing capacity but for paying expenses. Spending money is the natural thing to do; accumulation is unnatural to the point where it becomes a mental disease. Macro-economically, the accumulation of money is a dangerous socio-economic course to the point where it leads to large-scale depression; where we are today. The more money changes hands, the greater is its economic value. The value of money increases with its mobility. The motivation of PROUT’s banking system is therefore to keep money rolling. Apart from seeing to it that money is kept in circulation, banks should not act on their own behalf and turn into huge profit-making machines. They should instead serve their community and remain directly associated with particular productive local endeavors. This is a natural idea: Whenever people join in some productive effort they will soon need somewhere to deposit their earnings, a place where they can administer their common economy. If no suitable means for deposit exists, the natural thing for them to do would be to form a cooperative bank themselves. 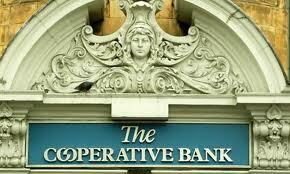 Under PROUT the banking system will have to be managed by cooperatives. (5) Only the government-controlled central or federal bank should have a greater reach by way of guaranteeing the currency. In conclusion, the mission of banks under PROUT is to keep money in motion and not become stagnant pools of personal wealth. PROUT’s banks are non-profit cooperative organizations where ideally the balance is zero after all expenses are met. Financial circumstances are changing fast. For instance, the last vestiges of the gold standard were thrown out by the Nixon administration some 40 years ago, and the gold standard has been ridiculed ever since. One reason for this mudslinging is that pinning currencies to gold (“gold standard”) does not allow for free speculation. Today, as the global speculative system is in chaos and about to end in catastrophe, the gold standard may be staged to make a return. The price of gold usually rise phenomenally during times of economic upheaval and financial crisis. This proves that people in general accept gold as a basic guarantee for financial stability. PROUT supports a form of gold standard. According to PROUT, a main work of the central bank would be to guarantee the currency in measures of physical gold held by that bank. Central banks must be ready to pay citizens the amount of gold represented by the currency. This is the proper hedge against large-scale inflation. The gold-standard protects against speculative bubbles. The gold standard is more a question of psychology than physicality. People view gold as the most precious commonly available thing. In the same way, the entire field of socio-economy is about physicality as well as psychology. For instance, the present financial system is ridden by greed. From a collective perspective the problem of unbridled greed is first a physical one, then a psychological one. First society has to find ways and means to stop and control the disease in a physical way. Thereafter, when no one suffers anymore at the hands of greedy exploiters, society will be free to think about how to cure their mental disease. No one should be oppressed or suppressed. Everybody should be allowed to realize their potentialities and attain their goals in life and thereby learn to utilize all sorts of resources to a maximum. At present the world of banking is dominated by all-devouring colossuses that crave to be fed by public money first thing in the morning (by way of “quantitative easing”) in order to continue their existence as masters of global trade. In contrast, PROUT’s banking system presents a rational human approach to supplying money wherever and whenever it is needed and required. The mission of PROUT as a whole is to pave the way for a society where people can express their true self. Only a socio-economic system that allows and supports people’s all-round needs, interests and dreams can be termed as truly progressive. “Cooperative Production – Excerpt B”, P.R. Sarkar. Published in PROUT in a Nutshell Part 14 and in Proutist Economics. What we use for currency really does not matter. The problem is the interest, which is a positive feedback that makes the money supply grow continually. If the extra money (gold or anything else) is not released into the economy, there is not enough for all the creditors to get paid their interest so some creditors are forced into bankruptcy. Unless interest is made illegal no amount of fiddling will fix the problem. “PROUT supports the Gold standard” … that resolution was taken when, by which board of PROUT, following what discussions? And why does Michael Towsey, in an article in “Regional Proutistic Development”, argue in favor of a “basket of commodities” taking the place of “gold standard” for a number of good reasons? Sarkar defends gold standard on the book “Proutist Economics”. One of the reasons he mention is to avoid inflation. PROUT´s rationale for the gold standard is simply that most people think gold to be the most valuable commodity. It not a resolution taken by any board but something suggested by Shrii Prabhat Rainjan Sarkar, the founder of PROUT. We have not yet seen Michael Towsey´s argument in favour of a basket of commodities. Prout discourse mentions nothing of gold standard – and which gold standard as there are several. It only talks about gold bullion as something necessary as a reserve in the banking system. Much of this piece above is scaremongering and also irrational. The good points clouded by poor logic.